Are you excited to receive a tour of the FOREVER Home Office?! The time to register has arrived!!! 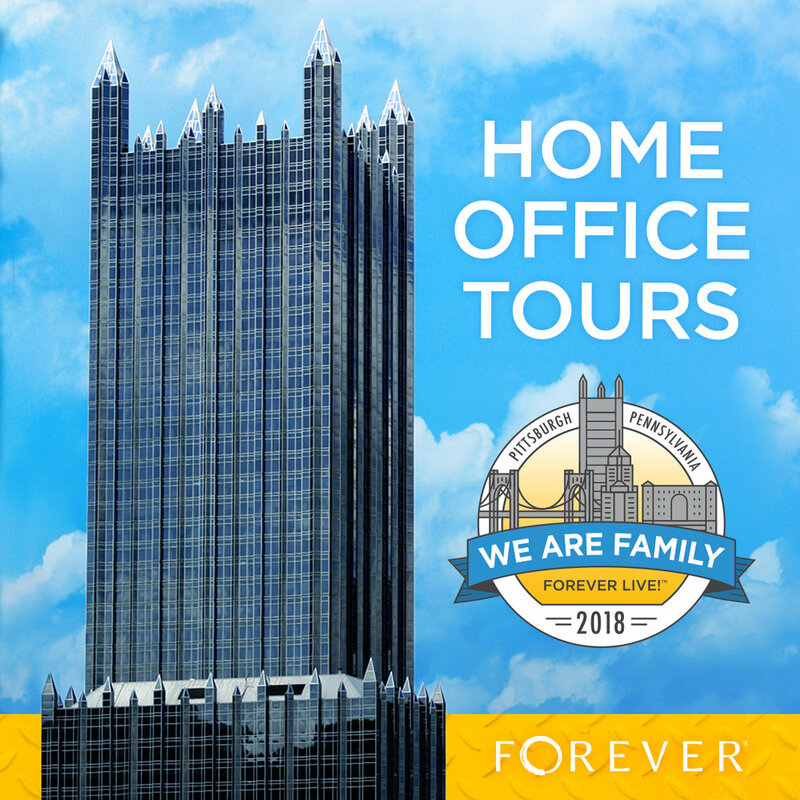 Come see where the FOREVER magic happens in our beautiful downtown Pittsburgh office. You'll get to meet FOREVER employees, take pictures of the iconic FOREVER photo wall, and enjoy refreshments and views from our office bistro! Tour Registration is open through 11:59pm PDT on Friday, July 27. Tour slots for Lead Ambassadors & above (Lead Ambassadors, Senior Lead Ambassadors, Executive Ambassadors, and Senior Executive Ambassadors) are Wednesday, August 1, from 1pm-4pm EDT. If you are a Lead Ambassador or above, please register here for an office tour. Tours slots for Ambassadors, Qualified Ambassadors, Senior Ambassadors, Clients, and Guests are Thursday, August 2, from 10am-3pm EDT. If you are not a Lead Ambassador or above, please register here for an office tour. Each tour will last approximately 30 minutes and will be conducted by the lovely FOREVER Support Team. Shuttle buses will run continuously between the Omni William Penn to One PPG Place (the FOREVER Home Office). Don't miss out on this awesome opportunity! And that's not all. Even if you can't make it to a tour, FOREVER team members will be floating around at FOREVER Live! all weekend. We are eager to meet you! Feel free to introduce yourself, ask questions, or give us suggestions. This weekend is about YOU and what YOU want out of FOREVER! And don't forget about networking with fellow Ambassadors and FOREVER enthusiasts! There's no better way to grow your network or get great new ideas for your business than from your peers. Get ready for a weekend of education, inspiration, and socialization! We can't wait to see you in just a few weeks!